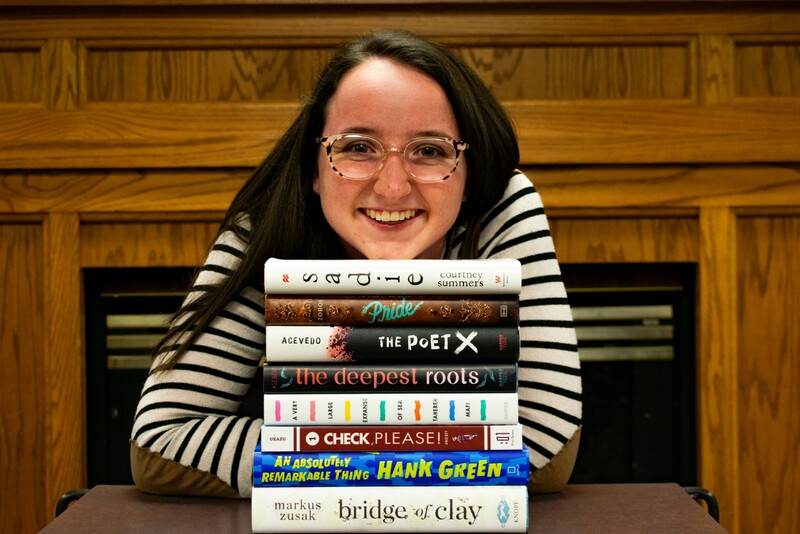 OPINION: I read over 60 books this semester. It was wild, and here’s why. As a senior majoring in English, it’s safe to say I’ve read a lot of books. It’s basically a requirement of the major. Even as a kid, I loved reading and writing. This semester, I read 61 books. Thirty-eight of them were for class, and the other 23 were primarily for fun. It was a wild ride. Thirty-eight books for class sounds like a lot, and that’s because it is. I was in four English classes, three of which were above the 600 level. Even my poetry writing class had us doing a significant amount of reading, so nine books of poetry were on my reading list this semester. My other courses include multicultural children’s literature, gothic literature and a course on Louisa May Alcott (more on her later). This is going to be part exposé, part life advice for reading and part nerd fest. Hold on to your hats, folks, because I somehow read over 60 books in the past 16 weeks, and I’m breaking it down for you. This semester, my courses challenged me by pushing me to read different genres. Usually I stick to young adult literature, and while I got to read some of that for my multicultural children’s literature class, I also had to read gothic literature, texts from the 18th century and poetry. I enjoyed some of these texts more than I had ever imagined I would. I didn’t think I’d absolutely adore “The Monk” by Matthew Lewis, originally published in 1796, but it sticks out on my list of favorites from the semester. Even while reading for fun, I challenged myself to read more nonfiction than I usually do, and read three titles (all of which I reviewed for the Collegian) that expanded my mindset and taught me new information. Having such a variety in what I read this semester made me realize I need to read beyond my comfort zone more than I do. The experiences I had were incredibly rewarding, so I’m planning on diversifying my reading list in 2019. Okay, to be fair, I already knew this one. I used the Manhattan Public Library to check out books more this semester than I have in the past. Usually I use the public library to check out random YA titles, but this time I used the library to take a chance on nonfiction. Also, placing holds on books and being able to just run in and get them instead of having to search the stacks for them is an awesome feature I hadn’t taken advantage of before this year. As someone who spends a lot of their time reading, I’d never quite noticed just how much time it can take up. But, it turns out when you’re reading something that you may not be the most interested in, time can really drag on. I averaged nearly four books a week, most of those being for class, and reading those required novels ended up occupying large portions of my evenings — not that I’m complaining. When you’re reading something for class, and your reading assignments are stacked up, sometimes you just don’t finish a book. That definitely happened to me this semester. Once I didn’t read a book that I’d previously read for a class and used my knowledge to carry me through class discussion. Another time, I just didn’t finish the book because I was so overwhelmed that week. It’s hard to balance a heavy reading load, and I’ve gotten more accepting of not finishing something that I can’t complete or I’m not interested in. This semester I took a Louisa May Alcott course to study “Little Women” and her other works. It’s really cool to read most of an author’s works and watch how an author grows and changes over the course of their career. I’d totally recommend finding an author you like and then reading multiple books by them, because it gives you such an insight into all of their work. After this class, I know so much about Alcott’s works and I’m so glad I have that knowledge. For multicultural children’s literature, we read several picture books, including “And Tango Makes Three,” which has been on my reading list for half of forever. I’d forgotten just how refreshing picture books are. They were such a bright spot in my reading schedule. I also attended the Mock Caldecott event sponsored by the Kansas State Department of English for some picture book fun. The Caldecott Award is the American Library Association’s picture book award, and on Dec. 1, students, faculty and community members met to hold a mock vote on the best picture books of the year. This was a chance to just read and discuss picture books for an afternoon, and it was so much fun. Even though I didn’t count the books I read at the Mock Caldecott in my book total this semester, I’m glad that I remembered how great picture books can be, and I hope I get to read more of them in the future. This semester has been one of my toughest semesters. I’ve been busy and stressed, and there were nights where it was hard for me to go home and read for class the next day, even if I really enjoyed the book. That’s why I tried to balance my reading for class with reading for pleasure, so I could keep myself sane. Now that you know what I learned, I’ve got some advice for those who want to do some reading of their own. I rely a lot on the fact that I’m a naturally fast reader, but there are other pieces of reading advice I have for you, whether you’re reading for pleasure or for class. While I’ve tried embracing underlining and writing in the margins of my books before, this is the first year I’ve actually done it regularly. It really helps me pay more attention to the text and come up with things to say in class. However, my annotations aren’t all academic. I write things that are fun and interesting to me because it helps keep me motivated to read. Additionally, I use a purple pen instead of a black pen to annotate because things stick out more on the page for me that way, and it keeps me from zoning out when in the middle of a difficult book. Graphic novels are the absolute best. I’ve read four of them for class this semester and have really discovered just how much I enjoy them in the last few years. They’re quicker reads because of the use of pictures and they’re so engaging that I think even the most reluctant of readers can enjoy them. If you don’t want to go to the library, look online for web comics. These are typically released serially and bring the same joy and benefits of graphic novels right to your computer screen. I read three web comics on a regular basis: “Assassin Roommate,” “Stand Still. Stay Silent” and “Namesake.” It’s fun to just pop in once or twice a week and read a few pages really quickly. While it may be a time commitment to get started and catch up to a story, they’re a way to read with little time commitment once you’re up to date. Discussing books with others generally only makes me like them more. It also helps me better understand the book that I’ve just read. I get to talk about books in class every day as an English major, but try finding a friend who will listen to you talk about a book. Don’t let the experience of reading end when you close the cover. This goes along with talking about books, but writing can be another way to process what you’ve just read. Sure, I write academic papers about literature. But I also write book reviews for the Collegian and my Goodreads page. I blog about books. I even tweet about books (right now I’m live tweeting as I reread the Harry Potter series). Just get your thoughts out about a book. It doesn’t even have to have an audience. Grab a notebook or a scrap of paper and jot down some things about what you’re reading or just finished reading. Goodreads is like a social media site for books. It keeps track of which books you’ve read and allows you to rate them and write reviews. Goodreads also has a reading challenge where you can challenge yourself to read a certain number of books in a year and then it keeps track of that for you. This year, I challenged myself to read 100 books, and to date I’ve read 146 — and counting. Goodreads is a great place to challenge yourself to read more or to get ideas for new things to read. I started using Goodreads about a year ago, and it’s really helped me this semester to keep my life together reading-wise. If you’ve got several books in your “to be read” pile and don’t know where to start, don’t worry. Just pick one to start on. Don’t worry about the books that you can’t get to. I bought a book way back in September that I still haven’t read yet. Hopefully, I’ll get there over winter break. It doesn’t matter if you’ve got an unmanageable stack of books to read or no books to read at all. What matters is that you’re reading. I try to schedule time to read, especially for pleasure, and that really helps me. Usually 10 p.m. or 11 p.m. is my time to read for fun during the semester. Then I also know I need to get down and get my reading for class done between 5 p.m. and 10 p.m. This helps me make it all feel more manageable, while still making sure I have time for myself. You don’t have to schedule time and read if that doesn’t work for you, but just try and find a few minutes to read. Clearly, I’m really passionate about books, and this semester has made me keep my balance of reading for class and reading for pleasure better than I normally do. It might seem insane to read that much, and I’m not going to argue with you. But reading this much has been really enlightening and even fun. 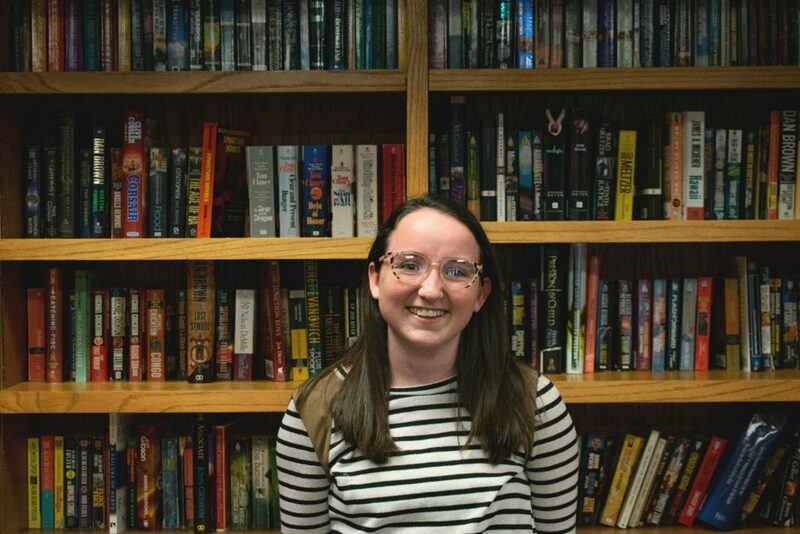 Macy Davis is the assistant culture editor for the Collegian and a senior in English. 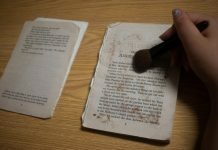 The views and opinions expressed in this column are those of the author and do not necessarily reflect the official policy or position of the Collegian. 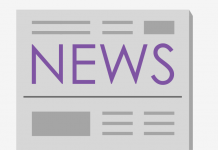 Please send comments to opinion@kstatecollegian.com. 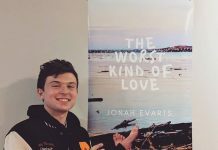 Freshman Jonah Evarts has self-published not one, but two novels in the past year.